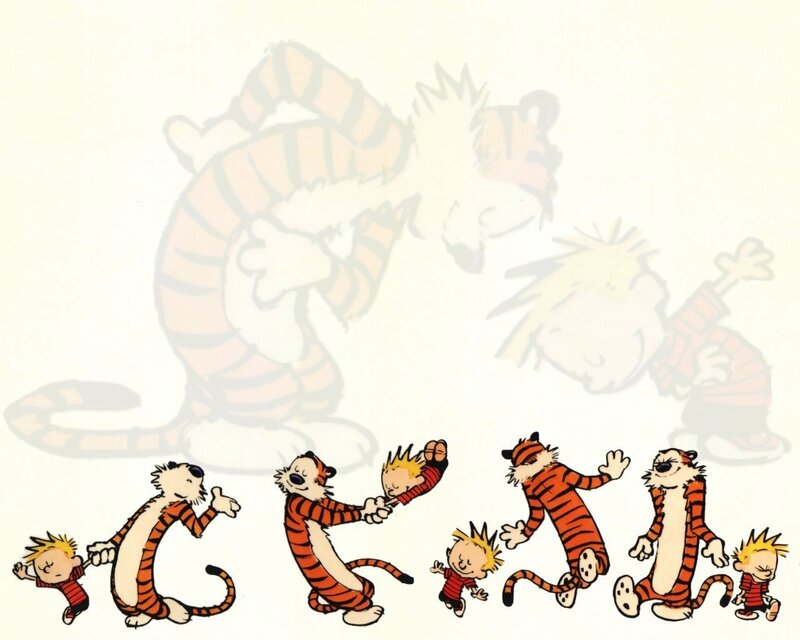 Calvin and Hobbes Dancing. . HD Wallpaper and background images in the Calvin & Hobbes club tagged: calvin and hobbes dancing bill watterson comic wallpaper.